Calgarians! I'm hitting the road today and headed to your fine city for this year's Calgary Expo! If you're going to be at the show, come find me and my pals Alina and Danielle at booth 722/822. I'll have a fine selection of books, shirts, posters, and other fun swag... some of it con exclusive! And as always, I'll also be doing plenty of commissioned art. See you there! 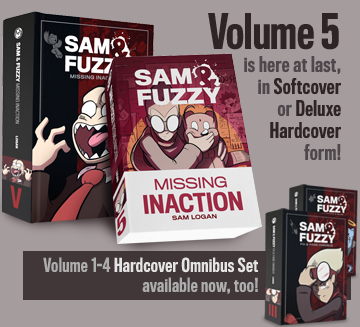 But worry not, friends... although I'm off at the convention, Sam and Fuzzy will continue to update unimpeded. Come back on Friday for our next strip! I'm off at Calgary Expo today! If you're going to be at the show, come visit us at booth 722/822. (You'll find the full map a little lower down this page.) And if you're not going to be there, check out my twitter feed, where I'll be posting some of the drawings I do at the show! We return on Monday with our next comic. See you then! Tragically, Carl does not have quite as robust a skillset as certain other, similarly named drivers in the S&F universe. Maybe he just needs more practice. In other news, Topatoco has relaunched our online store! 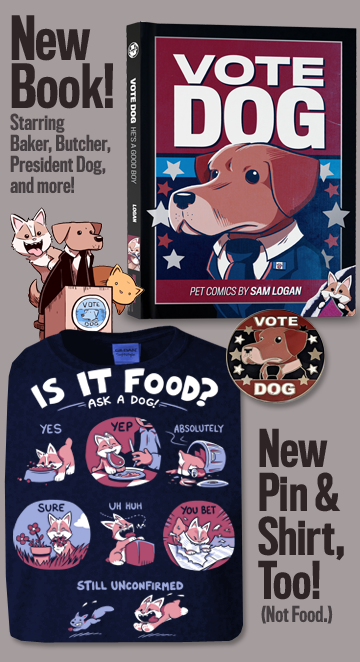 Never before has it been more pleasant to browse our fine selction of books, t-shirts, posters, and other fun swag. Last but not least: it kinda snuck up on me, but this weekend is Calgary Comic Expo! I hope to see lots of you there, Calgarians. 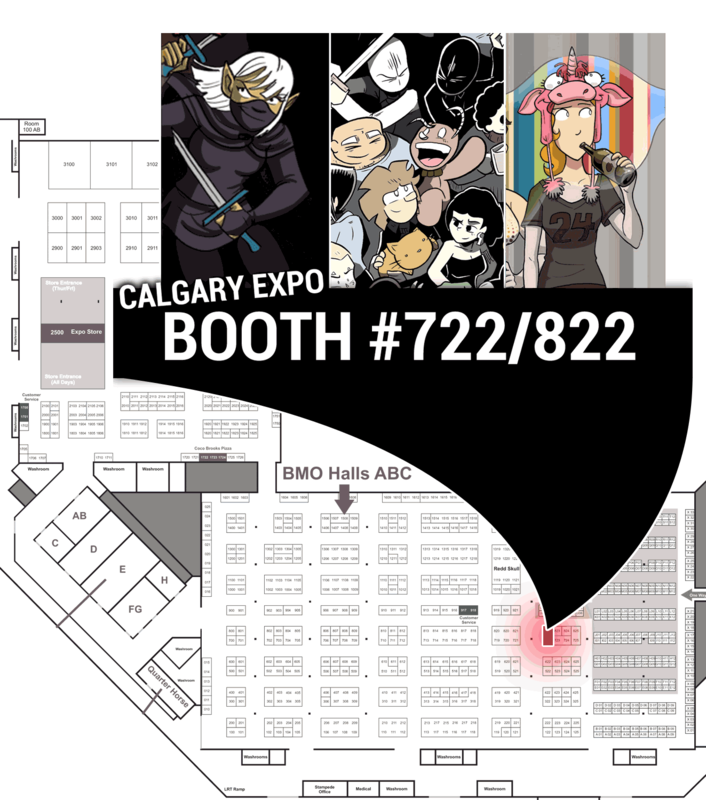 You'll be able to find me at booth 722/822!